Dr. Richard Bensimon (left) is participating in the American Society for Aesthetic Plastic Surgery (ASAPS) Annual Meeting in San Diego, April 27- May 3rd, 2017. 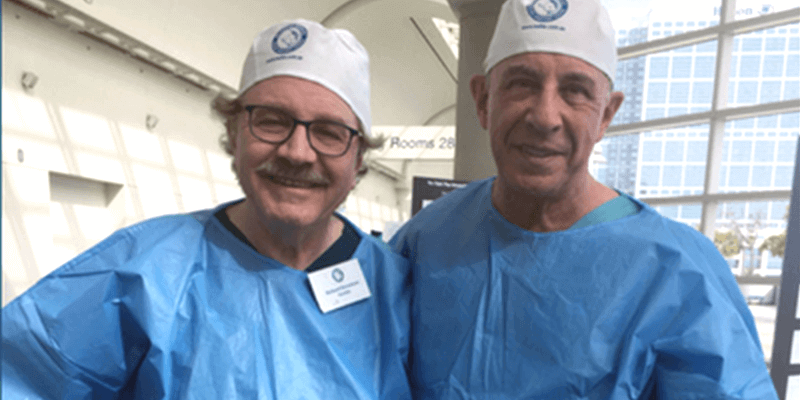 This year he will serve for the third time as a faculty member for MAFAC (Melbourne Advanced Facial Anatomy Course) alongside eminent plastic surgeon and founder Dr Bryan Mendelson (The Centre for Facial Plastic Surgery – Dr Bryan Mendelson) (right) and other international faculty members. MAFAC is the premiere educational experience for plastic surgeons performing facelift surgery. This intense cadaver workshop allows the participant to dissect the human face as if it were a real surgery. The course experience gives unique insight into the complex relationship of the layers of the face and how the facial nerves course through them. This invaluable information is incorporated into novel new approaches for modern facelift surgery. Dr. Richard Bensimon is a board certified plastic surgeon and world leader in advanced facial rejuvenation. His sophisticated surgical techniques yield optimal and long-lasting, natural results. Throughout his career, Dr. Bensimon has been recognized for his expertise in aesthetic surgery and has been sought out as an educator in the United States, Mexico, Europe, Asia and Australia. As an enthusiastic educator, Dr. Bensimon has given over 100 presentations including master classes, cadaver workshops and live surgery demonstrations to his colleagues around the world. He has contributed chapters in prestigious surgical texts and is a co-author of the recently released “Centro-Facial Rejuvenation” a state-of-the-art textbook describing surgical and non-surgical rejuvenation of the face and features Dr. Bensimon’s unique experience in facial chemical peeling. Dr. Bensimon is the creator of the BensiPeel™, a modern chemical peel for the dramatic improvement of facial sun damage and wrinkles.